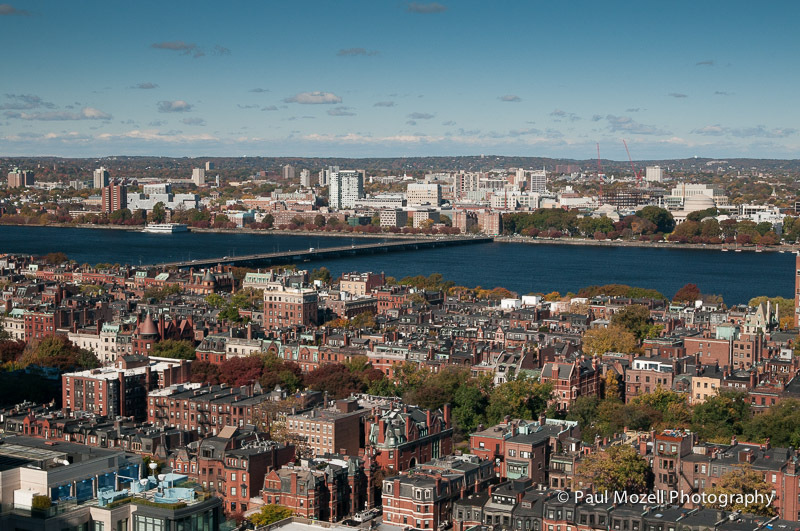 It was a perfect day to be photographing from the 20th floor of a building in Boston. The Back Back neighborhood, the Charles River, the Mass Ave Bridge, and Cambridge are crystal clear. autumn view, back bay, Boston, cambridge, Charles River, skyline, tourism. Bookmark.